A myriad of factors - psychological, emotional, cognitive and behavioural - impact a client’s financial independence during decumulation, demanding different investment solutions. 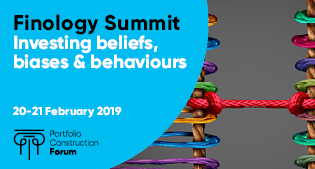 Finology Summit is THE behavioural finance ("fin") and investment psychology ("ology") program of the year. The blended live and online learning program features an exceptional Faculty of experts from around the world. Each offers his/her best high conviction ideas - on the relationships between people and money, behavioural economics and behaviour change - and how people's different beliefs, biases and behaviours about investing, impact investment markets and influence portfolio construction philosophy and practices.